Jennifer Blanc-Biehn may only be packing up ‘The Night Visitor’ for the festival circuit but the busy lady of horror has already started work on her next directoral feature. ‘The Girl’ sees Evie Louise Thompson brutally kidnapped (she’s not having much luck of late especially off the back of her brilliant performance in ‘The Call’) but is rescued by a young boy and in return is compelled to save him from the horrors that lie in his home. The first poster has now been released and created by award-winning graphic design agency Dog & Pony. 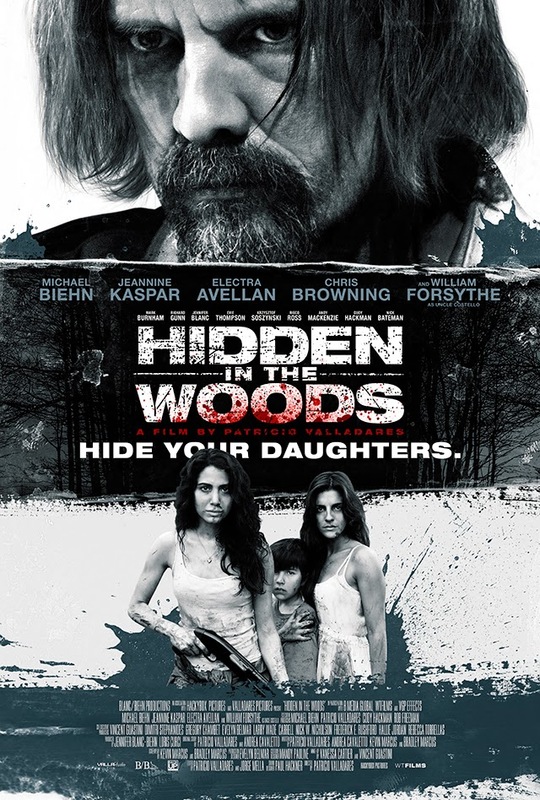 This is not the only Blanc/Biehn Production to receive a new poster as the Michael Biehn starring remake of Chillean thriller ‘Hidden in the Woods’ also sees the poster treatment.